This week the focus in our classroom was the Greensboro Four and the Sit-In Movement. 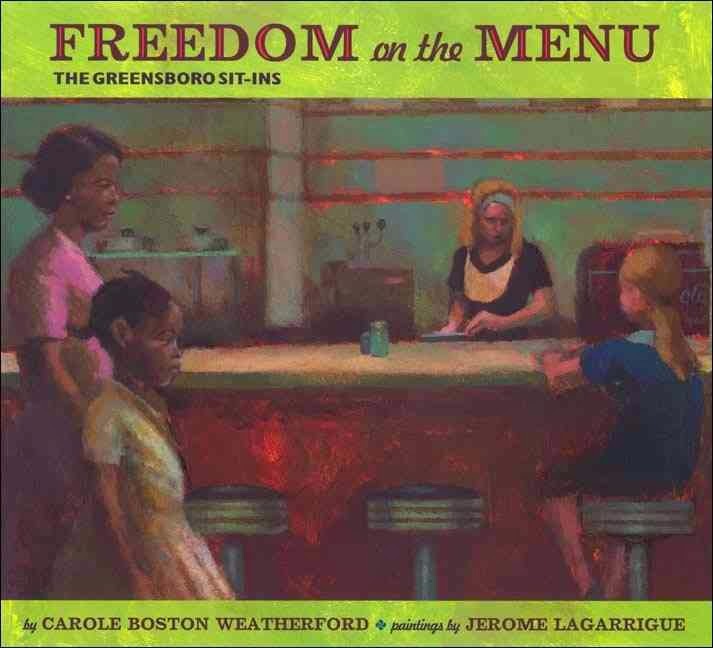 I began the week long study with the picture book, Freedom on the Menu by Carol Boston Weatherford. 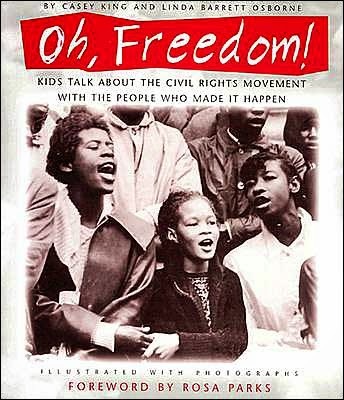 We also read an interview a child took of his mother who sat-in at lunch counters in Kansas found in the book Oh, Freedom, by Casey King. This sparked a conversation about the segregation in the south and how everyday people were starting to stand up for what they believed in, it wasn't just groups such as the NAACP and SCLC. 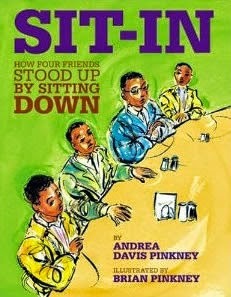 The next day, I read the book Sit-In: How Four Friends Stood up by Sitting Down, by Andrea Davis Pinkney. We briefly discussed this book and then I showed video clips from the documentary "February One". This is a great video that really paints a picture of what life was like in the south in the 50's and 60's. On Thursday, students analyzed a picture of 3 college students (two white and one black) sitting at a lunch counter. There is a crowd of white people surrounding them with one person dumping what looks like a soda on the head of one of the students sitting. You can tell by the picture that there was some other food already dumped on their heads prior to this picture being taken. Students wrote down what they observed in the picture and their interpretation of it. To culminate the Greensboro Four study, students were given a paper doll (choices were black, white, male or female doll) and told to make the doll look as if they were going out to sit-in or picket. Students knew to "dress" the doll in nice clothing. They also came up with a story about who they are, where they came from and why they decided to rally together to fight for justice in Greensboro. I think these are really great ideas to help bring this important event to life for students. By looking at real pictures, hearing the voices of the boys from February one and reading stories from everyday people who fought for their freedom or others, students were able to start to appreciate the magnitude of this time in our history.